Do you know? September starts from the same day of the week as December, every year i.e. If 1st of September is Monday so 1st of December will also be monday. And this is all because, there is 91 days separating between September and December, which is multiple of 7 (also number of days in a week). Bit stupid fact. The name September comes from the Latin word septem, which simply means seven, and it was the seventh of ten months of old Roman Calender (which was in use as early as 153 BC). After calendar reforms, January and February being added to beginning of the year, and September was shifted to ninth but it retained its name. Before Julian Reform, September only had 29 days, but later a day was added to make it 30 day-month. And India will be celebrating Teacher's Day on 5th of September and Brazil, it's Independence Day on 7th September. 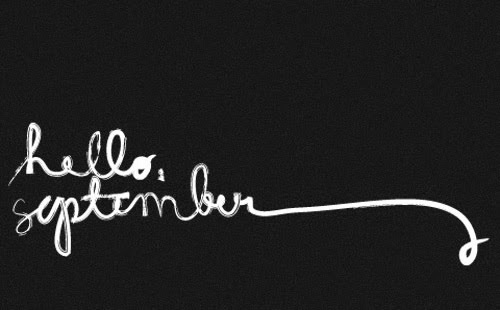 So Goodbye August, Hello September! How fast the year goes, already September and it feels like yesterday when I was making some new year resolutions! Thanks for the fun facts!